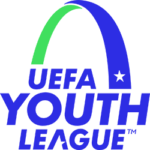 The EUFA Youth League is almost at an end, and in a semi-final that saw two strong teams competing against each other, Barcelona managed to gain the upper hand by …. 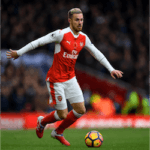 Ramsey Scores Hat-Trick to Cap off Arsenal Win To say that Aaron Ramsey had a big game on Saturday is a bit of an understatement. Ramsey scored his first career …. 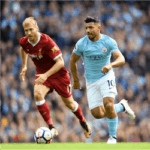 Liverpool Ends Manchester City’s Run in the Premier League Manchester City has fallen at the hands of their old rivals, Liverpool. After enjoying an extended run of undefeated brilliance, City …. Rangers Gunning for 2018 Florida Cup It says something about Scotland’s winters that Glasgow Rangers regard their trip to the 2018 Florida Cup as ‘warm-weather training’, given that Florida is …. 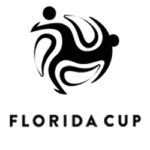 2018 UEFA Futsal Championship: Fit Refs Required! Something most online sports betting fans never consider, especially punters of the couch-potato persuasion, is the way different sports make different fitness demands: …. 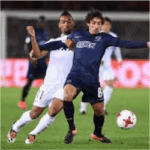 Al Jazira Knock Auckland City out of FIFA Club World Cup Making their seventh appearance at the FIFA Club World Cup, Auckland City were handed a bitter pill to swallow …. United Close the Gap on Man City with a Powerful Win over Arsenal Thanks to the outstanding efforts of David De Geo and Jesse Lingard, the Red Devils defeated their …. A Man For The Season For Manchester City Manchester City fans are a passionate bunch: passionate about football, passionate about Manchester City and passionate about Kevin De Bruyne. All in …. Chelsea Joins Man City and Tottenham in Final 16 Chelsea became the third English club to make it through to the final 16 of the UEFA Champions League with a …. Premier League Update Premier League Leaders, Manchester City recorded their 16th straight win, sweeping aside Leicester City 2-0, while Manchester United welcomed back Paul Pogba with a 4-1 win over ….